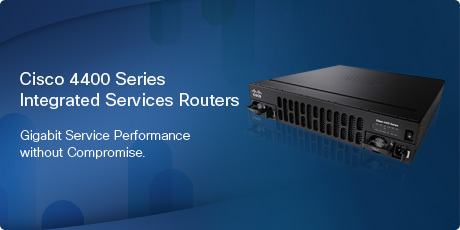 Cisco 4000 Series ISR family is featured branch router that were designed to meet Gigabit forwarding performance needs while running the broadest set of network and application services on a single platform. The Cisco 4000 Family contains five platforms: the Cisco 4451, 4431, 4351, 4331, and 4321 ISRs, which differ primarily in performance capabilities and in the number of Network Interface Module (NIM) and Enhanced Service Module (SM-X) slots supported. You can order the platform as a base system or as a bundled system for security, unified communications, or application services. This ordering guide focuses on base system configurations and options, but most of the elements are applicable to bundle ordering as well. You can order the power supplies listed in the table below with the system or as spares. The PoE power supply on the Cisco 4000 Series ISRs requires a C15-rated power cable to accommodate the higher current rating of these power supplies. For the Cisco 4400 & 4350 Series ISR, you can also enable PoE on two of the front-panel Gigabit Ethernet ports. Cisco 4451, 4431 & 4351 ISR PWR-GE-POE-4400(=) POE Module for On Board GE for Cisco ISR 4400 & 4350. Cisco 4400 ISRs ship with 8 GB of flash memory by default. Cisco 4300 Series ISRs ship with a default 4 GB of flash memory, which is soldered on the motherboard and is not serviceable. On Cisco 4300 Series ISRs, installing an additional flash memory module will disable the onboard flash memory. The Cisco 4000 Series ISRs ship with a default fan assembly that drives “business-to-bezel” airflow in the router chassis. The cover for the redundant power supply (RPS) on the Cisco 4400 ISR can be ordered as a spare. Generally speaking, Cisco ISR 4000 is available is several attractive bundles. The AX bundles integrate Cisco Wide Area Application Services (WAAS), Security (SEC), and Data (DATA) licenses into a single bundle that is simple to order, configure, and deploy. For customers who are also interested in voice along with all of these features, AXV presents an attractive option. More information on ISR AX bundles is available at https://www.cisco.com/go/ax. A pay-as-you-grow licensing model lets you increase the performance level for the platforms from the base level to a higher level. So you can purchase at an attractive entry-level price point and increase the performance level as your business demand grows. Table 6 describes the performance licenses.